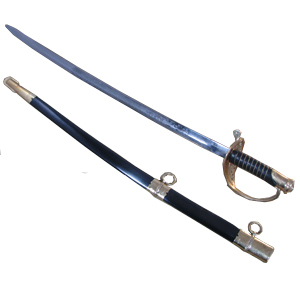 View cart “SH2118 Practical Plus Wakizashi” has been added to your cart. A traditional maintenance kit (OH1003) is included. 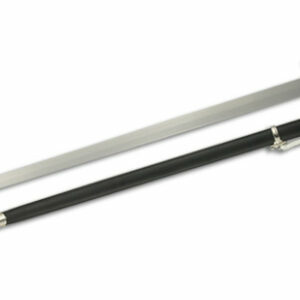 The blade of the Kaeru katana is hand-forged and folded from powder steel, with a medium-length (chu) kissaki. 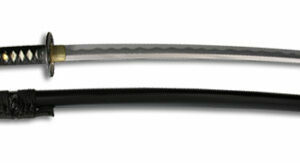 The saya is deeply lacquered in black. 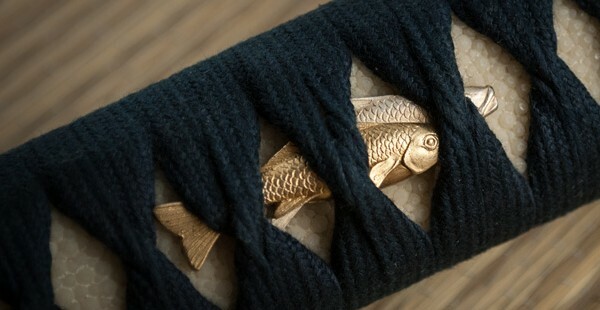 High quality ray skin (same) is used on the tsuka. The tsuka-ito is made of premium dark blue Japanese cotton. 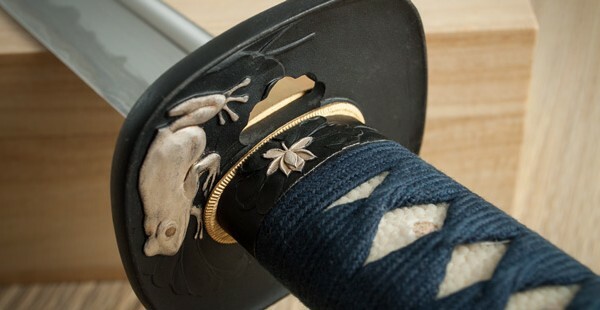 The tsuba is crafted in blacken iron, with detailing in gold and silver and a frog on lily pad scene decoration. 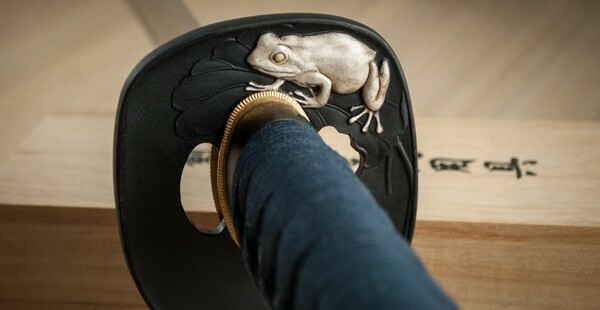 The silk sageo compliments the theme of the Frog and is elegently hand woven in dark blue and moss green. 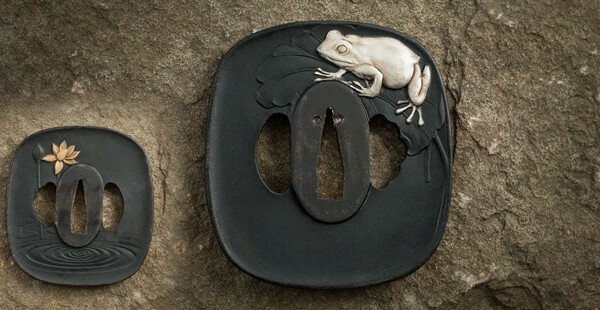 The fuchi and kashira are of black with brass detailing, and the kojiri, koiguchi and kurikata are of polished buffalo horn. The habaki is a one-piece brass construction. 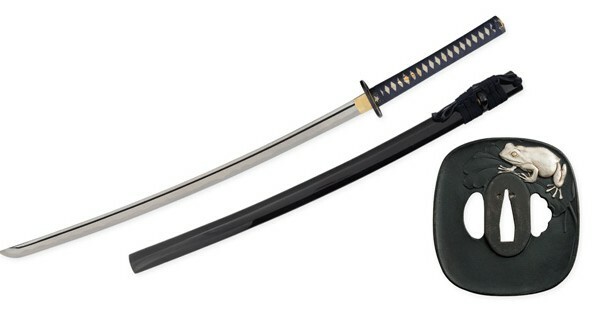 Collect the set; a samurai wore two swords, the matching Wakizashi is also available to complete your collection.